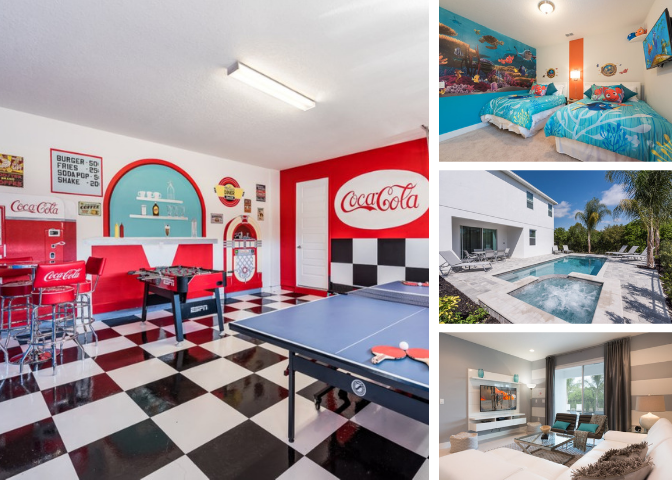 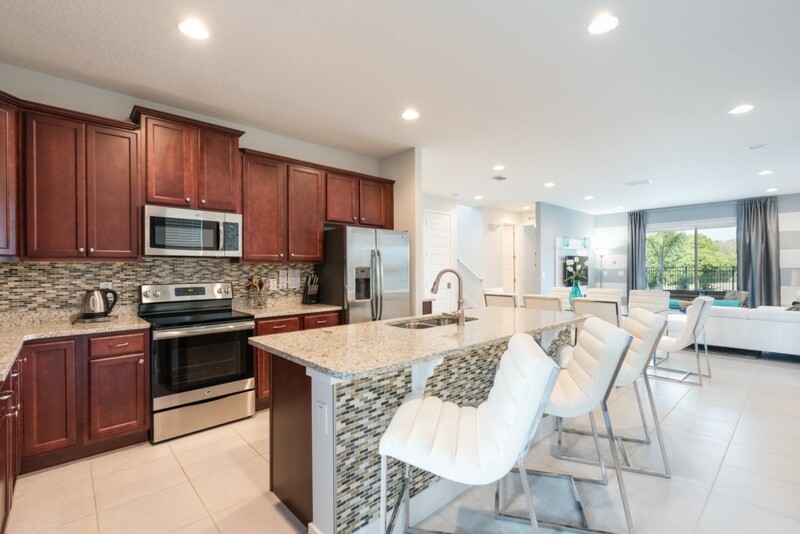 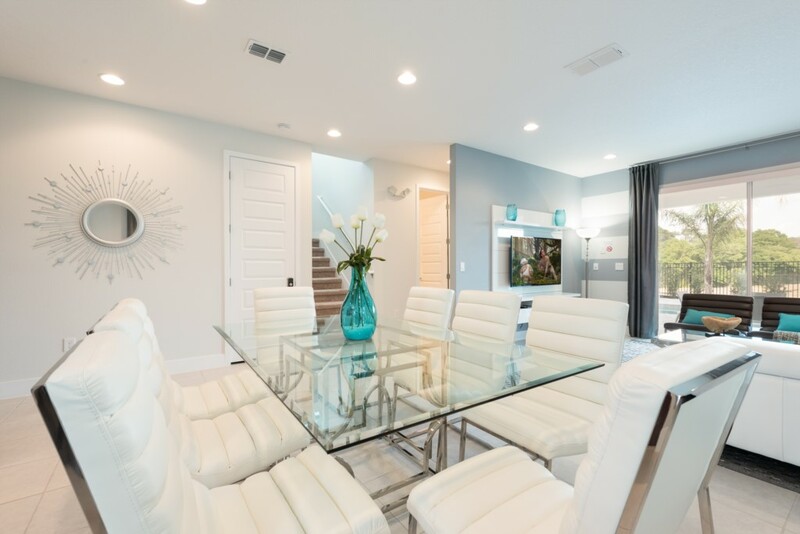 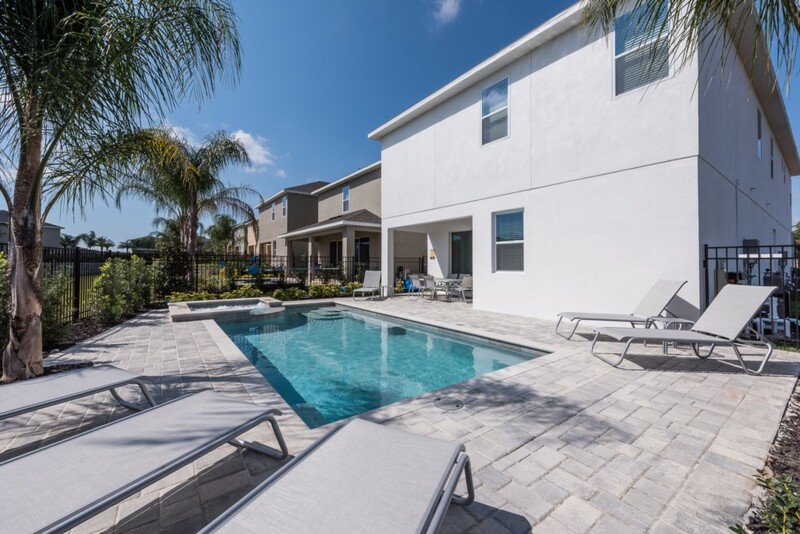 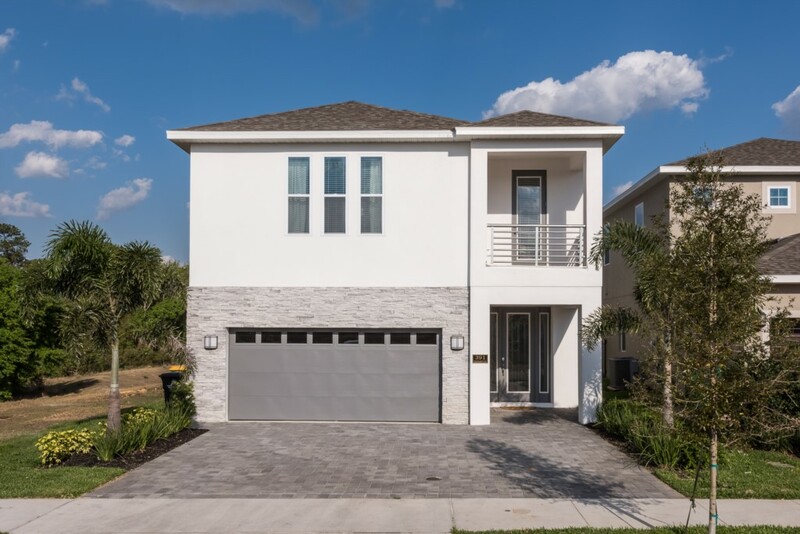 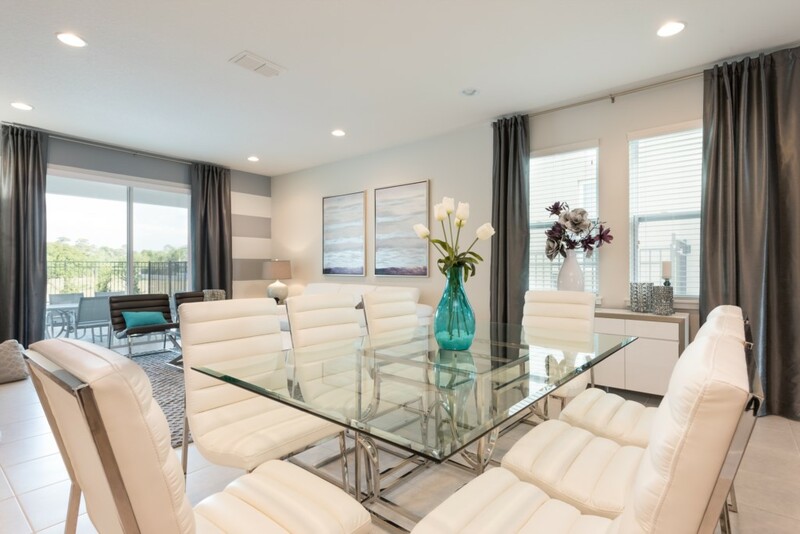 This modern 8 bedroom villa, located at the Encore Club, is the perfect choice for families wanting an unforgettable stay here in Orlando! 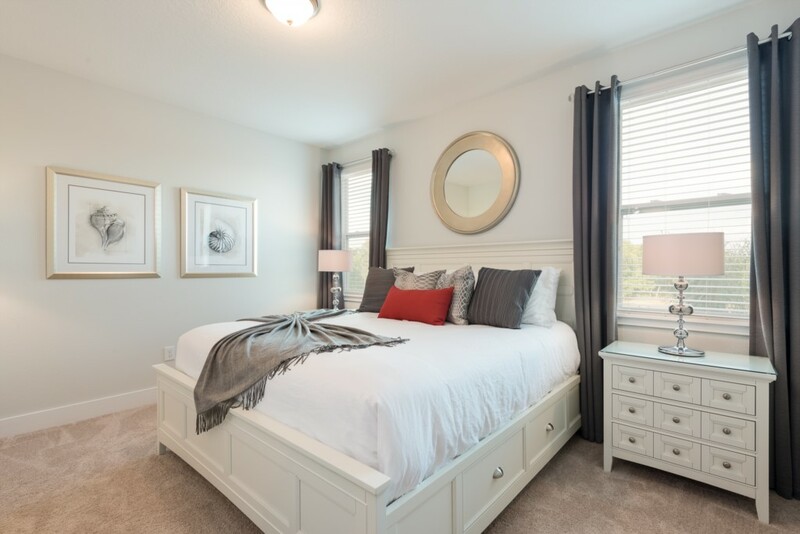 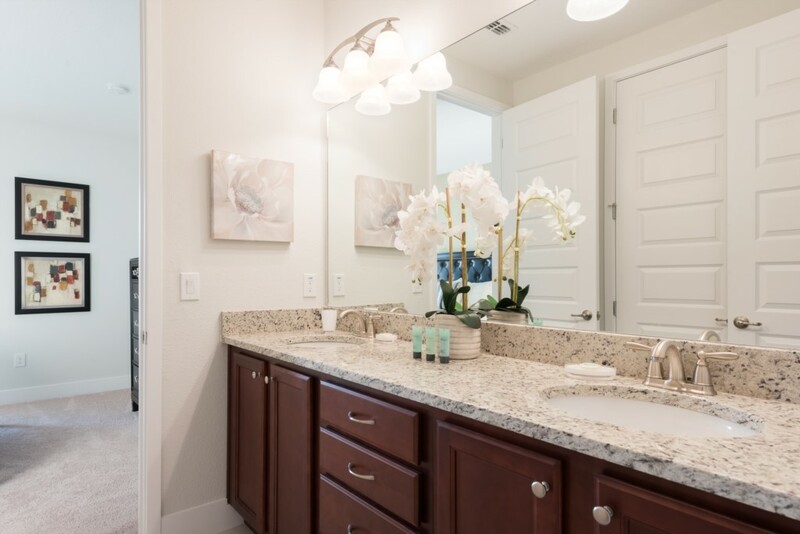 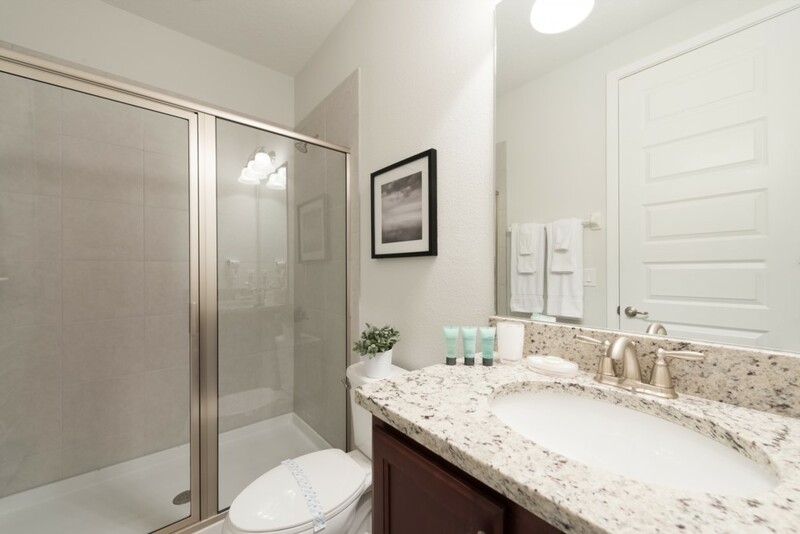 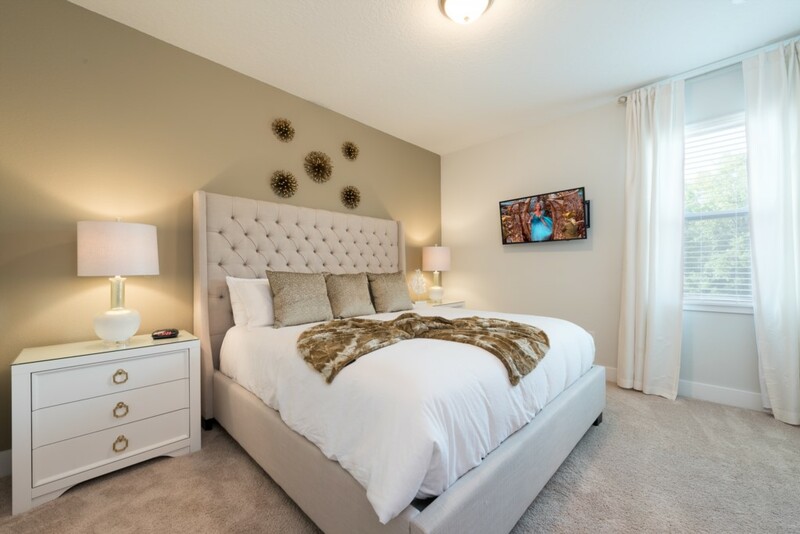 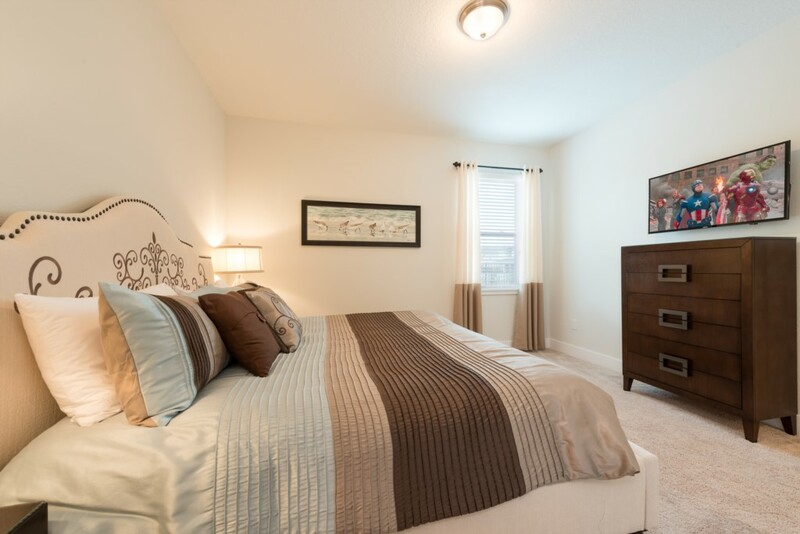 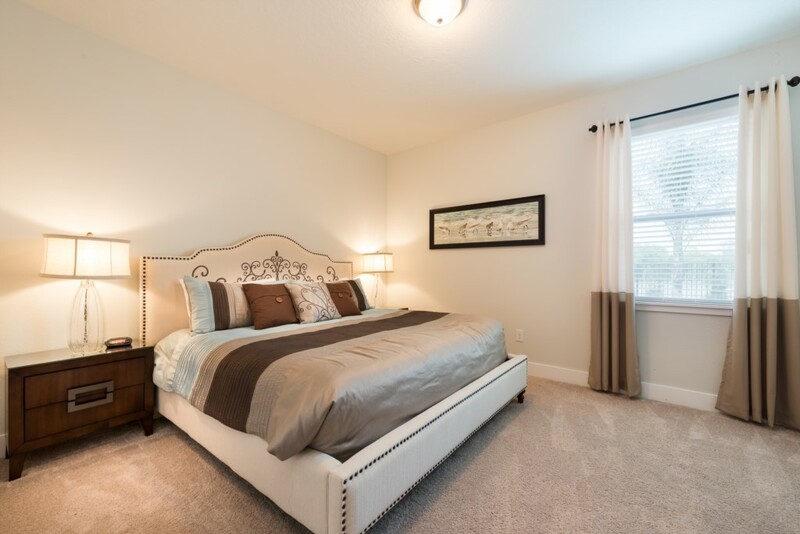 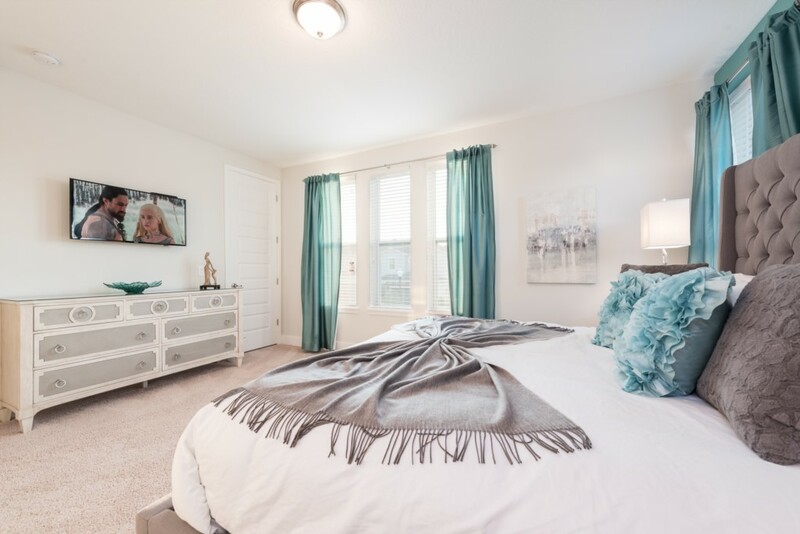 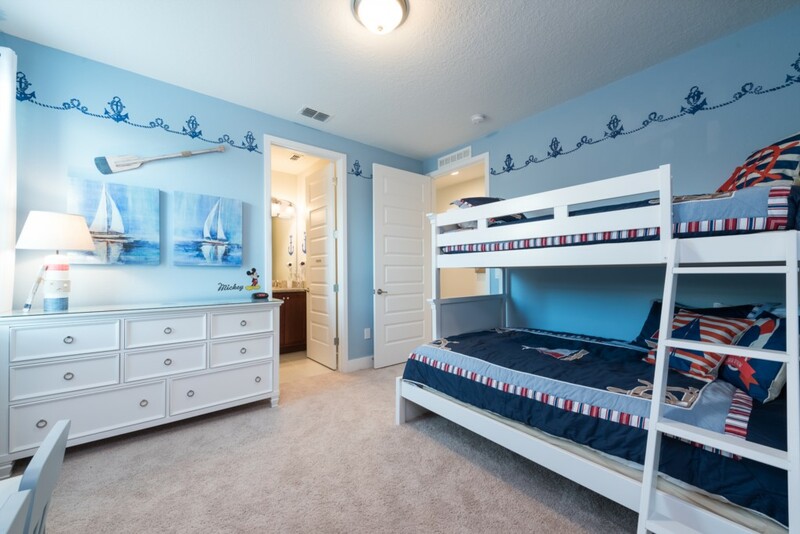 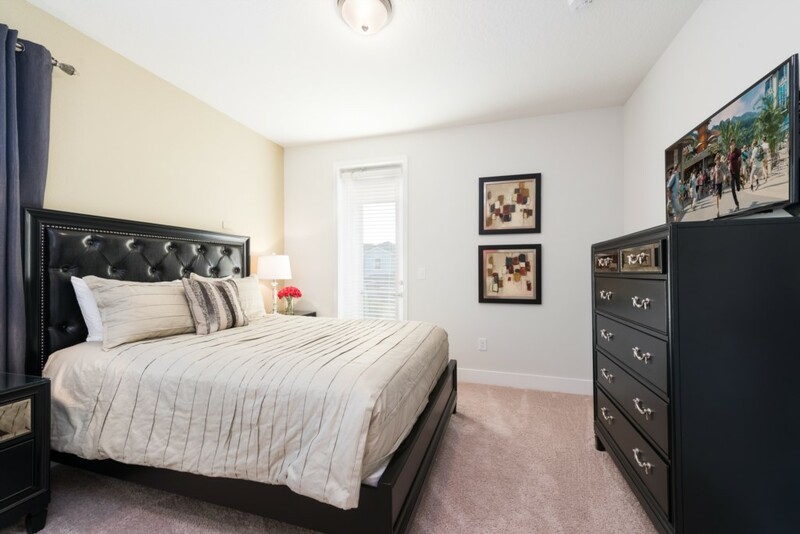 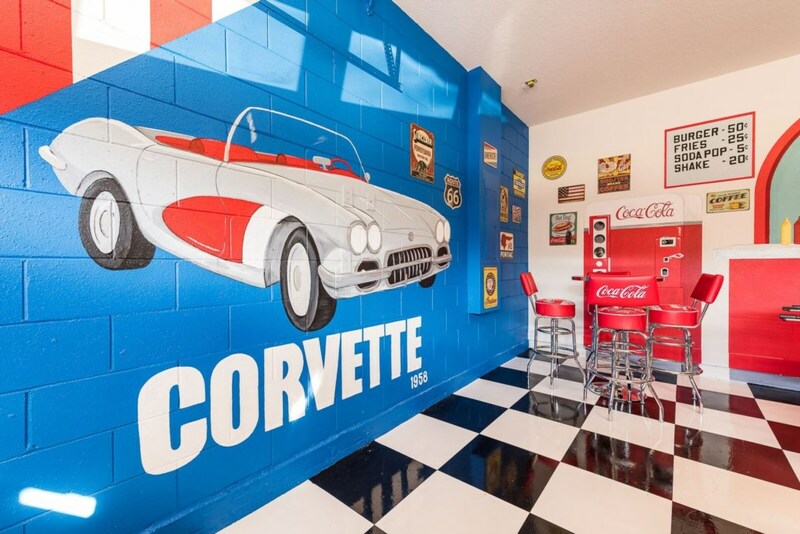 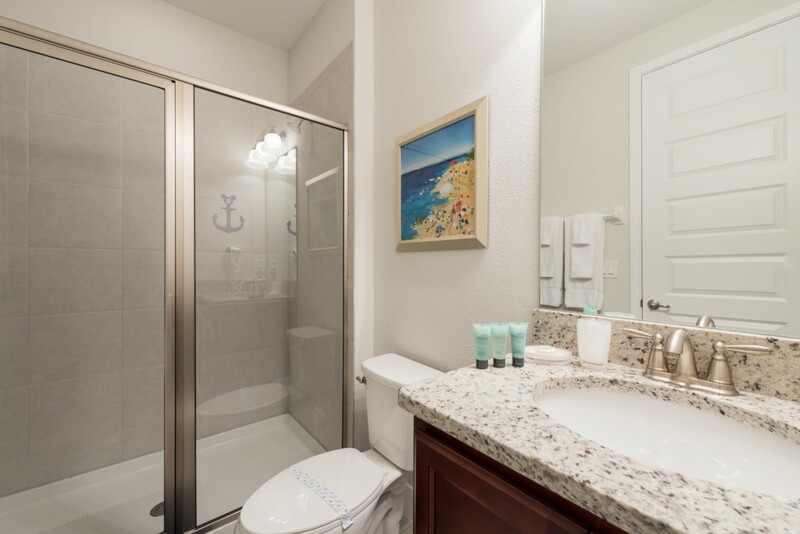 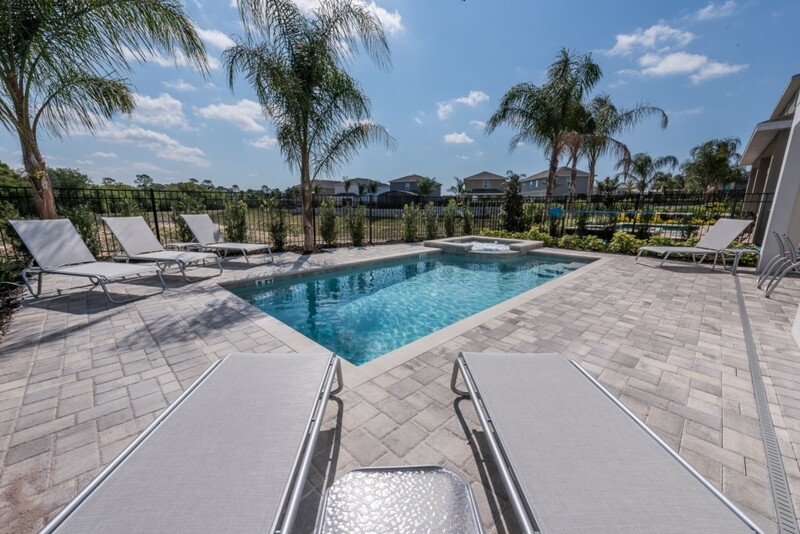 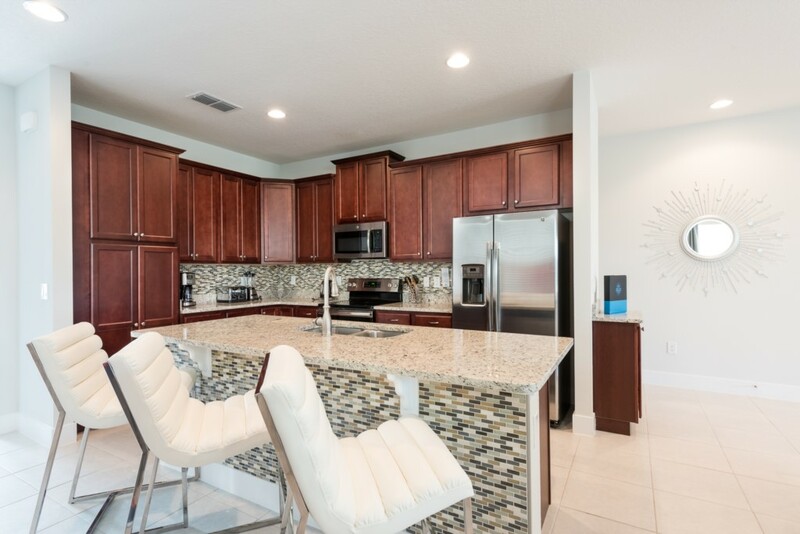 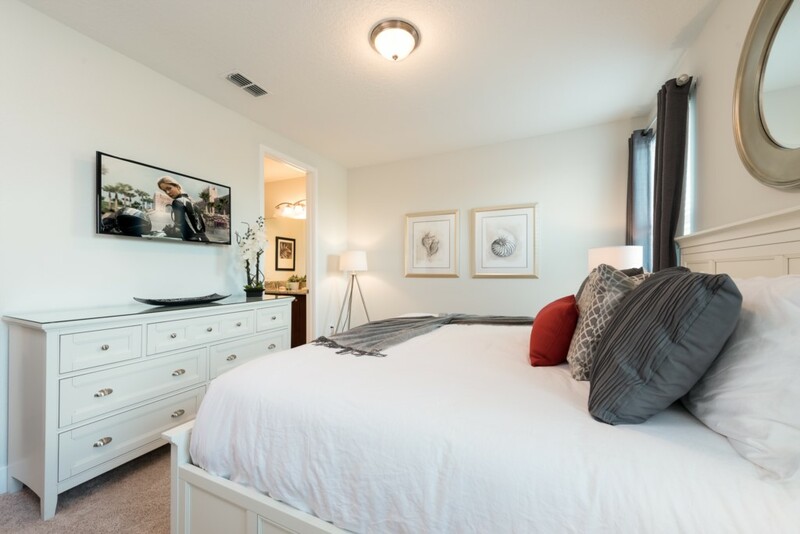 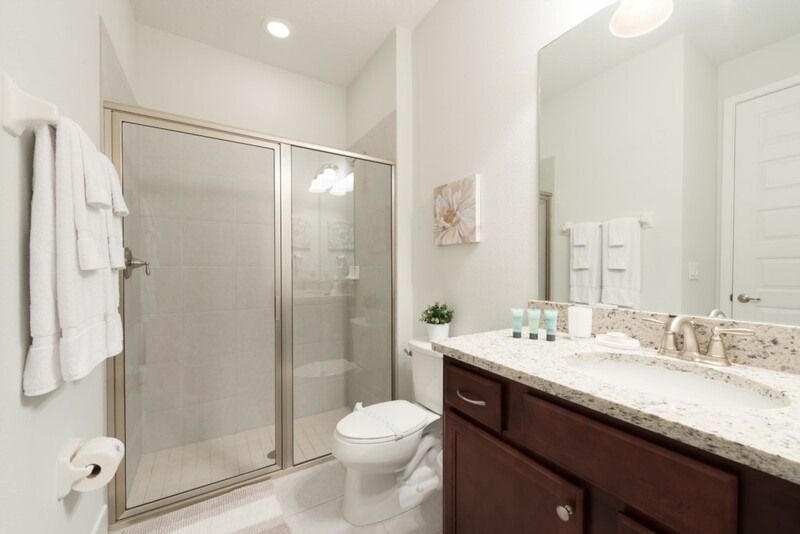 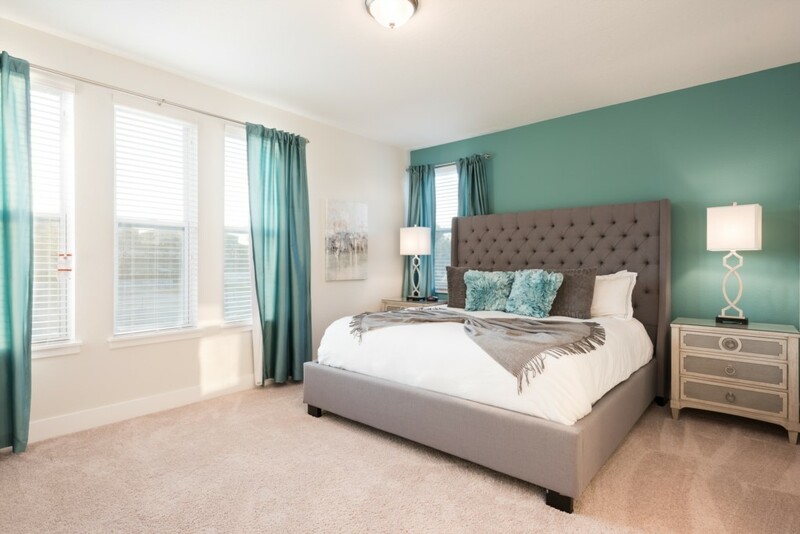 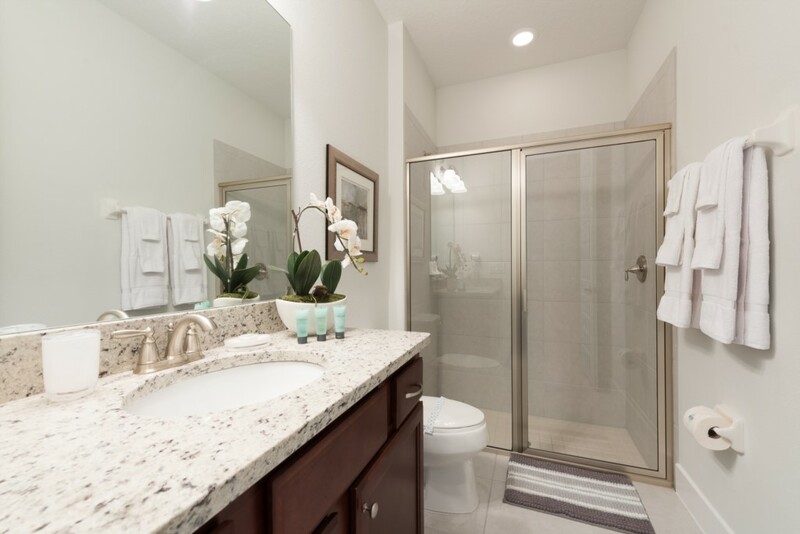 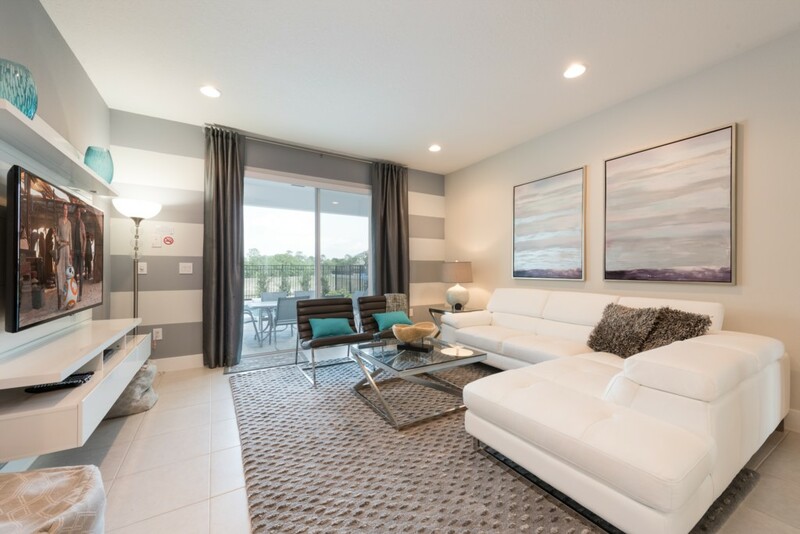 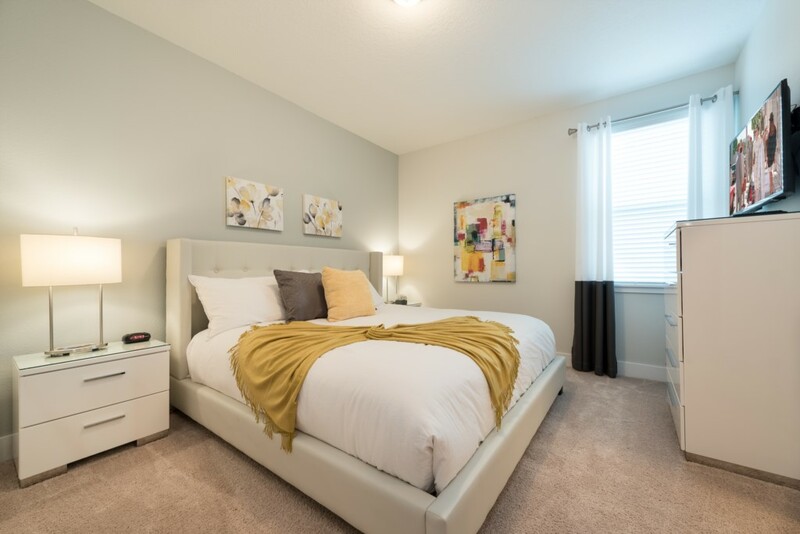 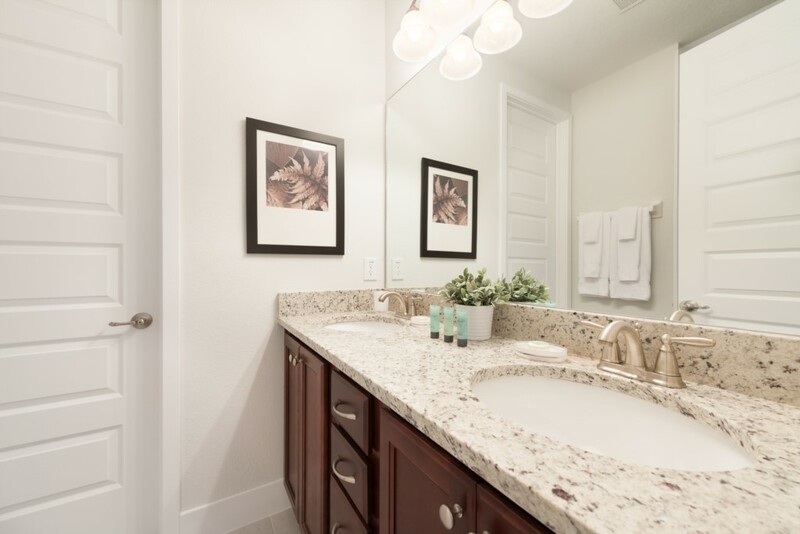 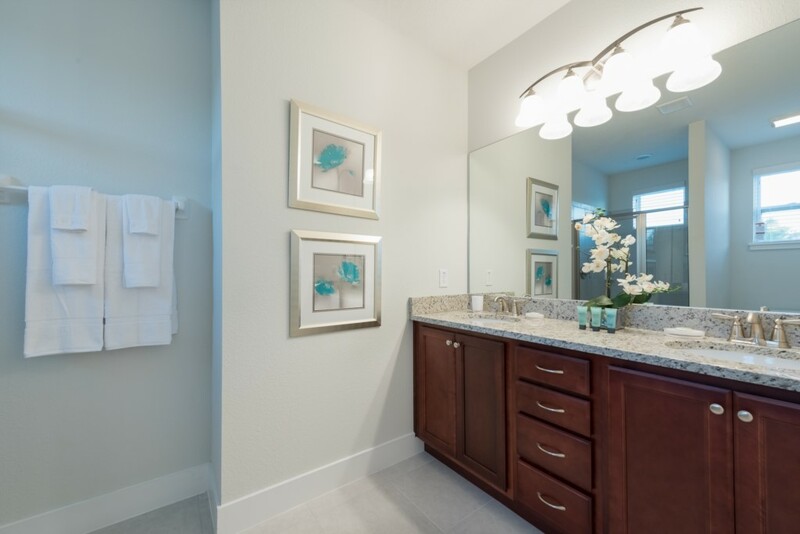 The Encore Club is situated in a prime Central Florida location, just about a 10 minute drive to Walt Disney World and offers amenities right on property such as their clubhouse with a fitness center and their waterpark with drop slides! 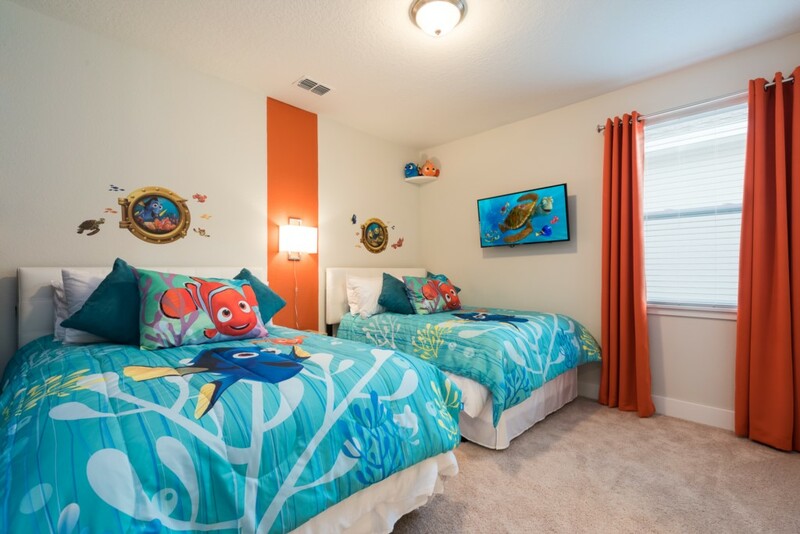 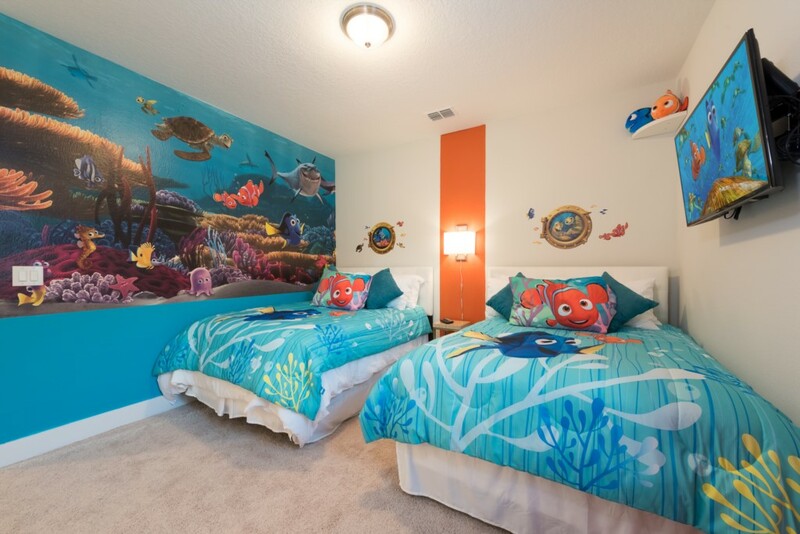 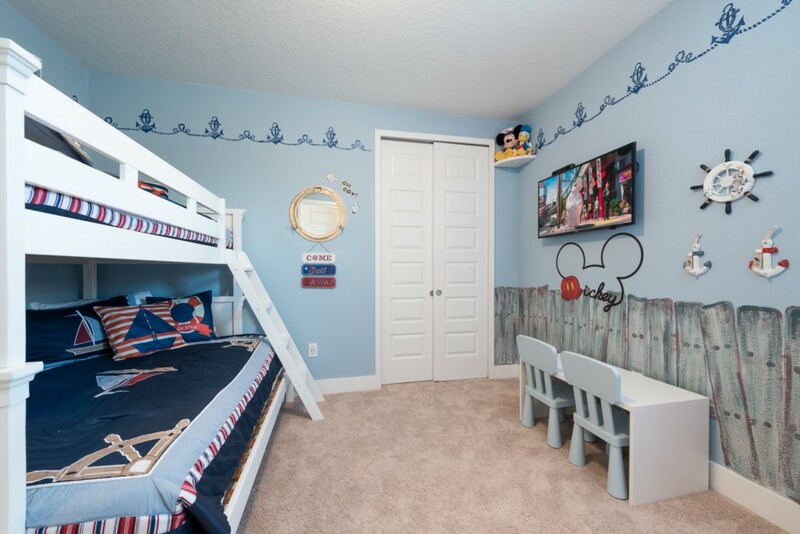 EC010 can sleep up to 16 guests with bedrooms across both floors including 5 king sized suites and 2 children's themed bedrooms including 'Mickey Mouse' and 'Finding Nemo'! 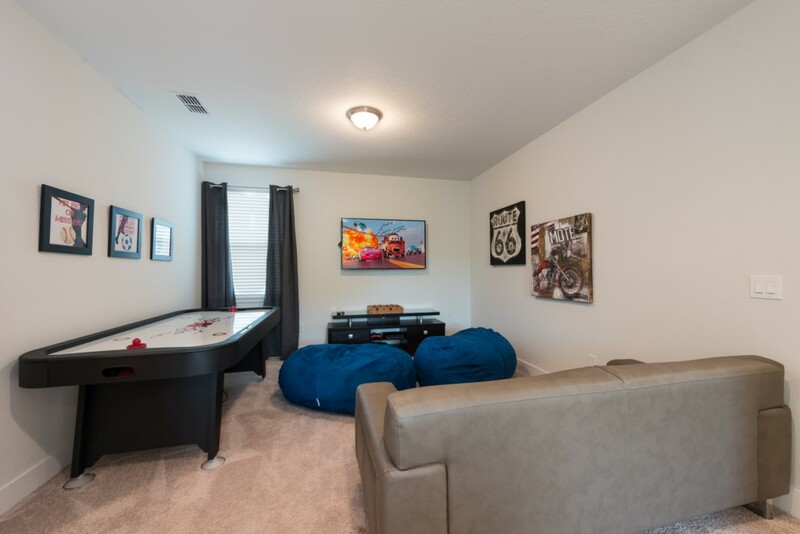 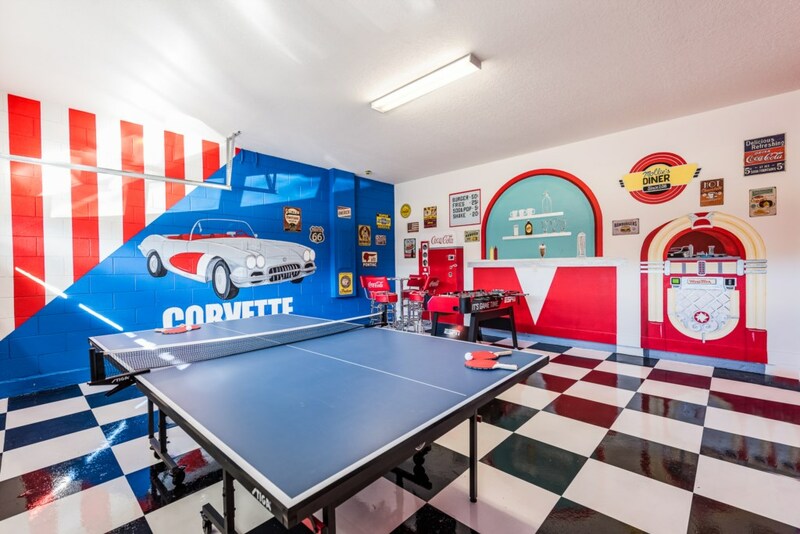 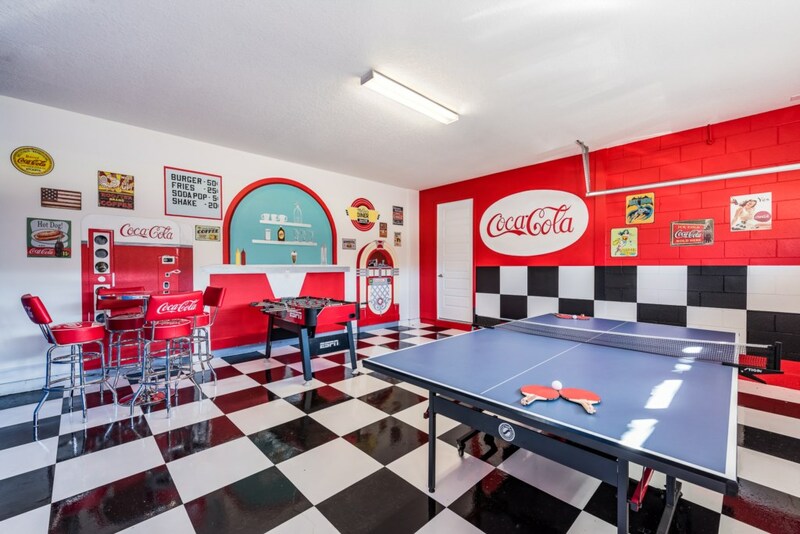 The upstairs loft area is where you and your loved ones can play a friendly competition of air hockey or play video games on the PS4.